If you’re looking forward to hosting garden gatherings this summer, now is the time to start smartening up your garden. The winter months can take their toll on furniture and flower beds. Start to overhaul your outdoor space and prepare to enjoy long, hazy days when the summer finally arrives. Here are five top tips to get your garden summer-ready without spending a huge amount. Spring cleaning is not everyone’s idea of the perfect weekend activity. However, you’ll feel much better when you’ve spruced up those beds, and your garden is free from leaves and weeds. Grab your marigolds and clear away any rubbish or dead shrubbery. Clip any surviving plants and lay manure in your beds, ready for sowing seeds. If your garden table and chairs and your decking are looking a little worse for wear, a pressure washer is the solution. This high-powered cleaning machine will transform the look of your garden in an instant. You can hire one for the day or invest in your own. If you’re eager to create an attractive garden feature and increase your living space, why not add a conservatory? If you have an awkwardly shaped garden or low awnings, a lean to conservatory is an ideal option. Choose materials and decor, which match the style of the interior of your home. Add splashes of colour and tie in themes with cushions and candles. Mowing the lawn is a sure-fire way to make you feel better about the aesthetic of your garden. If you’ve let your grass grow wild over the winter, now is the time to cut it down to size. Choose a dry day and avoid cutting too far. You should leave at least 3 cm of growth to prevent patchy spots and promote regrowth. Once you’ve done the first mow of the spring, take care to keep on top of your maintenance duties. Garden accessories can make all the difference when it comes to creating a beautiful outdoor space. Add some floor cushions, material drapes and lanterns to create a cosy lounging area on the deck. Inject some atmospheric lighting with outdoor candles for when the sun sets. Invest in some statement furniture, such as rattan garden set to enjoy the views and soak up the summer sun. If your tables and chairs have a need of a makeover on a budget, re-cover the cushions and give the table a lick of paint or varnish. Dot some pot plants or olive trees around your patio, or use barrels or trunks for a vintage-style floral display. The prospect of summer has got us all thinking about getting out into the garden and feeling the sun on our skin. 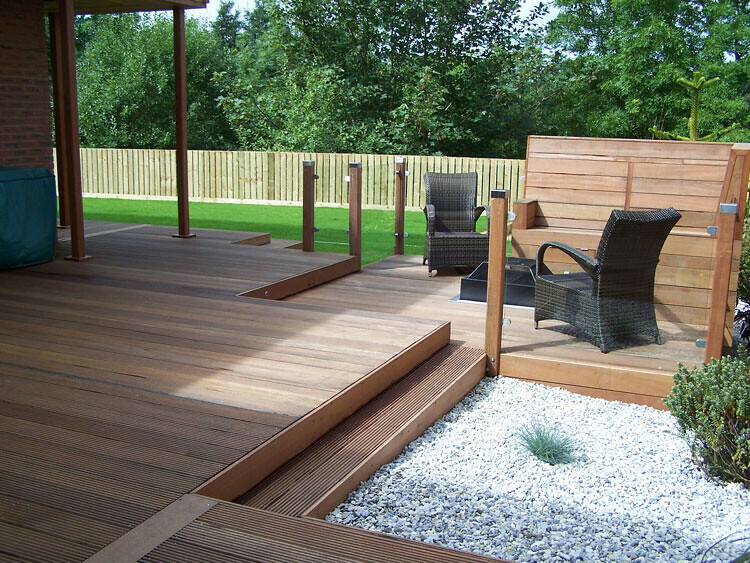 Get your outdoor space sorted now to make the most of those valuable summer days. You don’t need to devote hours or weeks of wages to achieve impressive results. Hi! I can make a contribution to the second step. As an expert, I would advice to get your own pressure washer. There are a lot of regular tasks that can be handled by a pressure washer. Hiring is more expensive.